Complete list of works to be found under "Archive"
Do You Get What I’m Not Saying? 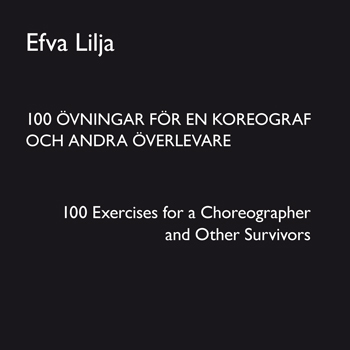 This Artistic Research project was initiated by the choreographer Efva Lilja, Professor and since January 2006 the Vice-Chancellor of the University College of Dance, who has overall responsibility for the workings of the project during the years dedicated to Movement as the Memory of the Body. The documentation consists of a book/object in paper, plastic, drawings, a lot of photos and three DVD:s presenting the process and the three performances that was the artistic expression of the research. A dance made material in flip-book form. Dancer: Helene Karabuda, Photography: Thomas Gidén, Graphic Design: Nina Ulmaja. On pleasure, revulsion, expectation and other things that makes life worth living. Förstår du vad jag inte säger?